Public art installations are a great strategy for rejuvenating public spaces and connecting with the public in a fun way. There are different approaches a city can take to connect with its citizens, and one approach that has gained prominence in recent years is music. Here are five interactive public art installations that have flooded many ears with the sound of music. 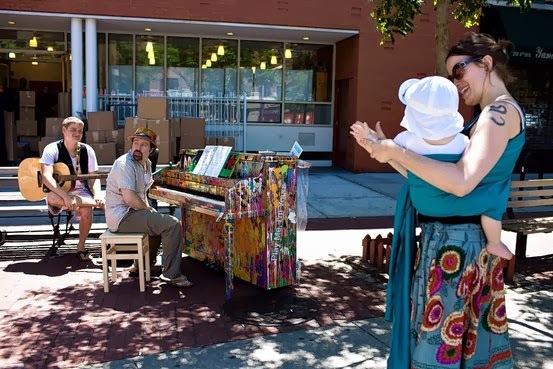 Play Me, I’m Yours began in 2008 when 15 pianos were installed across the city of Birmingham, UK for three weeks. Street pianos are designed to engage with the public by inviting anyone, experienced musician or novice, to try their hand at the piano. They also provide a rare opportunity for musicians to share their creativity by performing to the public. Since 2008, the project has toured internationally. In 2010, Play Me, I’m Yours appeared in New York City. The installation of 60 pianos across the five boroughs was spearheaded by the New York-based nonprofit arts group Sing for Hope. In 2009, Volkswagen converted a set of stairs into black and white piano keys inside the Odenplan subway stationin Stockholm, Sweden. The initiative is part of a marketing campaign called the Fun Theory, which is based on the idea that the easiest way to change people’s behavior is through fun. The piano staircase in Stockholm quickly gained attention for its effectiveness, and has been replicated around the world, including in Auckland, Melbourne, Stockholm, Milan, Istanbul, and Colombia. Each spring, 21 multicolored swings are placed throughout Montreal’s entertainment and cultural district, Quartier des Spectacles. Each seat is a musical instrument that plays prerecorded sounds while people swing. The more people that swing, the more melodies that form, turning the installation into a giant collective instrument where people achieve more when they work together. 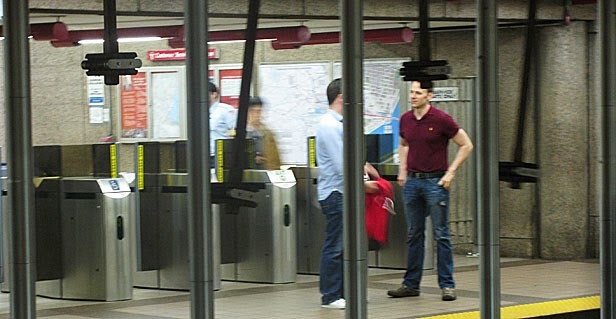 The Kendall Bandis an installation in the Kendall Station, in Cambridge, Massachusetts, that consists of three interactive instruments. To play you need to pull one of the handles, located on either the inbound or outbound subway platform wall. The installation, created between 1986 and 1988, is part of the “Arts on the Line” program – the first program in the nation to incorporate art into public transportation systems. ‘Pulse of the City’ is an innovative project located in Christopher Columbus Park, in Boston, which utilizes the concept of measuring people’s heart rates to create brief musical compositions. The installation is a solar-powered unit in the shape of a heart with handles on either side. The unit emits white light to attract passerby and creates the musical composition when someone holds the handlebars – a very distinct experience when compared to listening to your heartbeat through a series of beeps and lines on a chart. A new musical project has been proposed in New York City by musician James Murphy (former LCD Soundsystem frontman) to turn the beeping sound that occurs each time you swipe your MetroCard at a turnstile, into a pleasant note that harmonizes with other turnstiles. You can learn more about the project here, and if you like the idea, sign their petition to help make it happen! Guest Blogger Maria Chernaya is an urban planner based in Brooklyn.